The left-sided midfielder who is currently with the Serbian World Cup squad in Russia is set to move back to the Netherlands, a country where he previously plaved for FC Twente and Groningen, after informing Southampton that he wants to leave. According to The Daily Telegraph, Ajax have suggested a fee of £15 million for the player, although Southampton are though to want closer to £18 million. 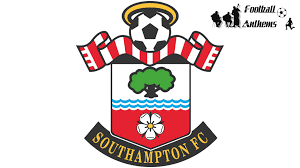 The 29-year old joined Southampton, the first signing under Ronald Koeman, in July 2014, and has since gone on to make 162 appearances for the club, scoring 23 times. He played a leading role as the club staved off relegation at the end of last season, scoring three times in the club’s last six games. He has also led in terms of assists during the four seasons he has been at the club, so replacing him will be a tall order for manager Mark Hughes and Southampton recruitment chief Ross Wilson.